Mapping requires precision, and attention to detail. 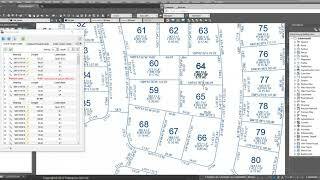 Label Autodesk® AutoCAD® Civil 3D® parcels, lines, arcs, etc., in seconds with the most appropriate label style. Find and fix geometry errors. For example, Pemulis Map Maker identifies where the sum of partial lengths don't add up to the overall length. Spend more time map making and less time on the tedium of labeling, map checking, and reporting. Trial details: The application comes with a 30 day trial period. Includes labeling for Civil 3D parcels, and full import/export of Civil 3D parcels to/from Map Maker. Includes the Pemulis Parcel Labeler application for Civil 3D. Includes updates and changes to licensing technology.